Puppies aren’t known for staying still for very long and if you’re trying to give their nails are trim they can seem impossibly small to cut without causing them harm. 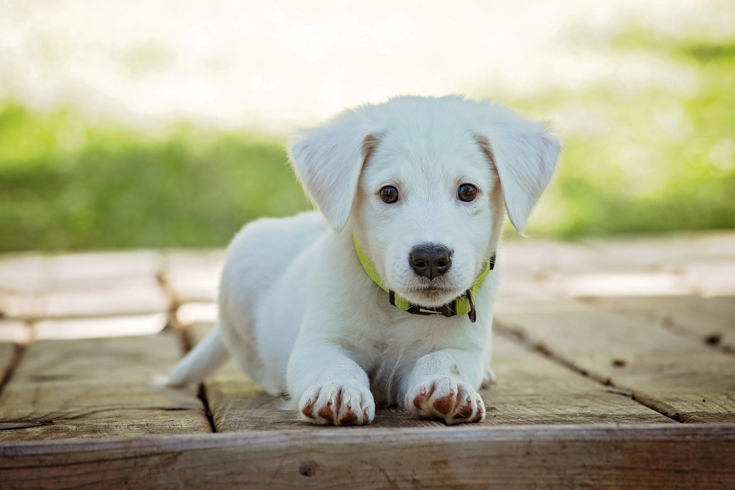 It’s a task that should form part of every puppy’s grooming routine to prevent their claws from tearing, splitting, or affecting your puppy’s gait as they run around. Luckily, learning how to trim your puppy’s nails is more than manageable with our easy step-by-step guide. Once you’ve followed the guide through a few times, both you and your pup will be used to the whole experience and experts in how to cut puppy claws in no time at all. It might be stressful for the both of you at first but building it into their grooming routine now means they’ll quickly get used to it before they reach maturity. We promise wrestling with a wriggly puppy is much easier than with a fully-grown dog! When and how often do puppy nails need cutting? You can start to trim your puppy’s nails from around six weeks and it’s advisable that you do. Even if there isn’t much there to cut, it’ll get them accustomed to the routine and means that by the time you need to give them a proper trim, they’ll be used to sitting still for you. It might be tempting to wait until their six months old but it can mean that it’s harder to get them into a routine. When you bring home your furry bundle of joy, expect to be trimming their claws once every three to four weeks to keep them short and prevent mishaps. How fast your puppy’s nails grow will depend on the breed and how much time they spend outside. Pups that go for regular walks on concrete, for example, will have their nails naturally worn down and they won’t need trimming as frequently. Clipping puppy nails doesn’t have to be a troublesome or even a time-consuming task. In fact, with our complete guide, it’ll be a part of your routine that’s complete in record time with minimal fuss. Before you even start looking at how to cut a puppy’s nails, make sure you understand how they’re made up. 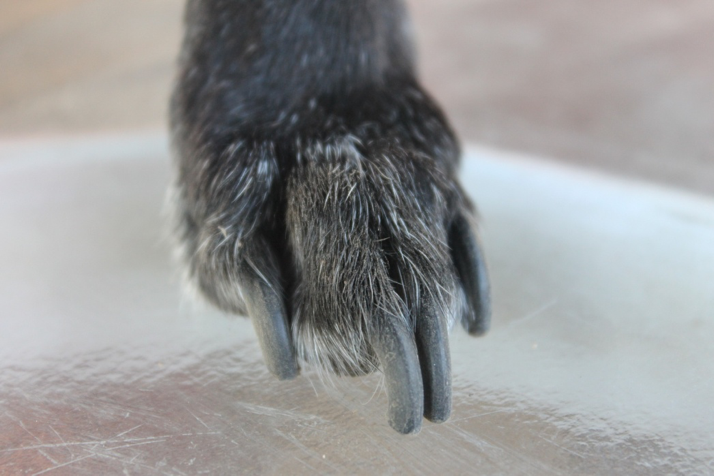 Unlike trimming nails on a human, a dog’s claws have tissue growing in part of the claw, known as the quick. If you accidently cut the quick, it’ll bleed a lot and hurt your puppy. If your pup has light coloured nails you’ll likely be able to see the quick if you look carefully, but it’s more difficult with darker nails. While painful, cutting your puppy’s quick doesn’t cause any lasting damage but be sure to cuddle, fuss, and reassure them if it does happen. Styptic powder should also be used to prevent excessive bleeding. You don’t want to prepare your puppy ready for their nails to be trimmed only to find you don’t have everything you need to hand. You should have a good pair of nail clippers, a file and some styptic powder to hand just in case. Hold your puppy’s paw gently but firmly and trim the tip of each claw one at a time. Go slowly and keep talking to your puppy to keep them calm. If you can see the quick through your puppy’s nails, cut just below the pink line. If you can’t see the quick then the general rule of thumb is to trim just below where the nail starts to curve. If you’re worried, start by trimming a little at a time initially. If you choose, you can finish the nail clipping process with a quick nail file, ensuring that it’s smooth and doesn’t have any sharp edges that could catch. Some pet owners choose to use a file over trimming if their dog is afraid of clippers or isn’t comfortable with the process. However, it’s far more time consuming and inefficient to rely on filing alone. Once you’ve finished trimming their nails, make sure you give your puppy lots of praise and a treat. Of course, if you’re really worried about clipping your puppy’s claws, you can turn to a professional and get them trimmed at the vets or by a groomer. You can even get them to show you how to do it so next time you’ll be well prepared for cutting your dog’s nails at home. Styptic power - keep this on hand just in case you cut the quick. You can pick up this handy powder at most pet shops and vets.